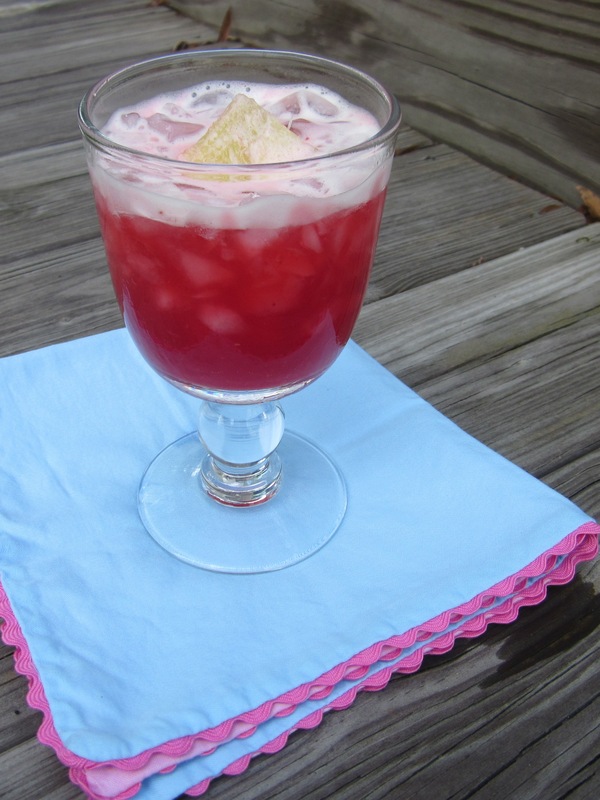 Since I will need a cocktail for our 4th of July block party, I wanted to focus on a cocktail that has a red, white, or blue theme for this weekend’s new drink. Last night I tested cherry margaritas. I mentioned last week that I like tart drinks better and this one is almost perfect. Even if it did not taste that great (which it does), the color is so vibrant that people assume it is going to be delicious. Make a simple syrup by adding 1 cup water and 1 cup sugar to a pot on the stovetop at medium heat. Do not stir, but swirl sugar water occasionally while the pot is on the stove. Remove from heat once the sugar dissolves. Pit ~15 cherries and put them in a blender. You can do more or less cherries depending on your taste. Add tequila, triple sec, 1/2 cup lime juice, and 1/2 cup cooled simple syrup to the blender. Blend ~20 seconds until the cherries are ground up. 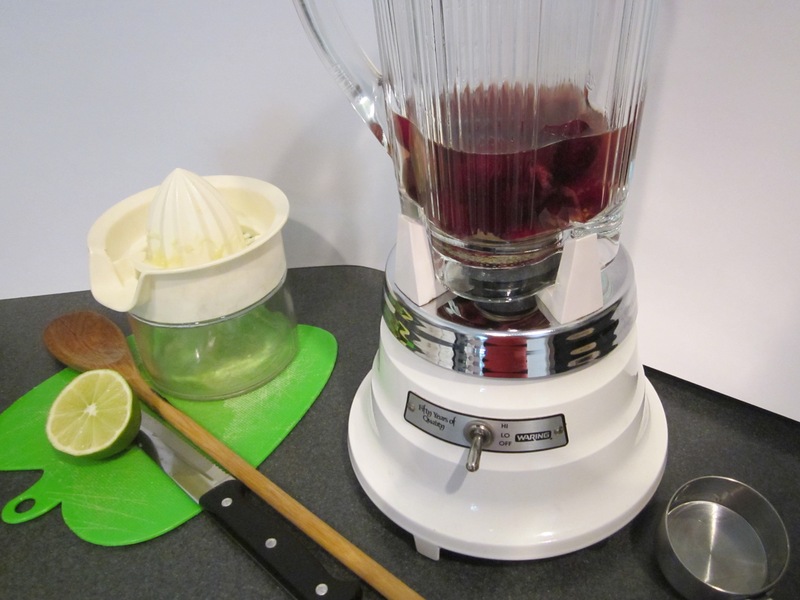 It will look like a dull color, but as soon as you start blending, it turns this really bright pinky red color. Pour the mixture through a fine sieve into a pitcher. Press the mixture around the sieve with a spatula to get as much liquid through as possible. 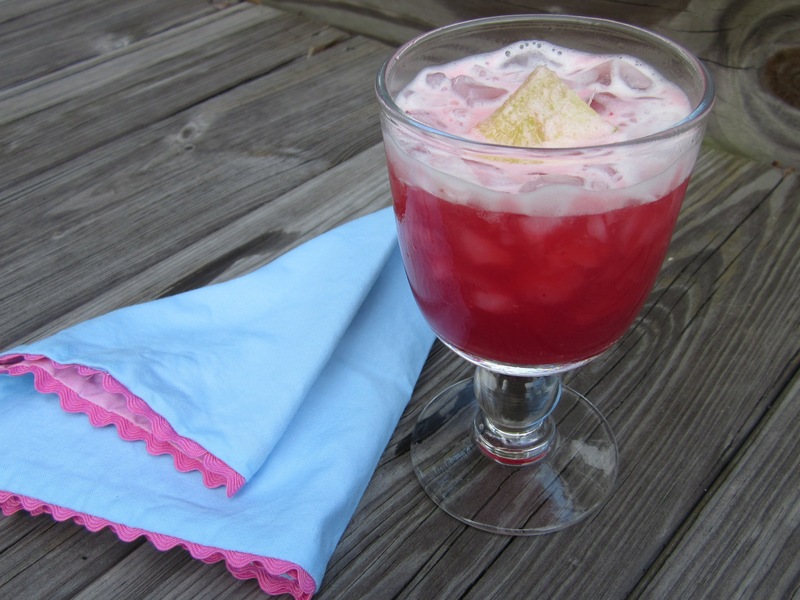 Serve margarita over ice with a wedge of lime for garnish. A dear friend of TheRoomMom e-mailed the picture below to me. 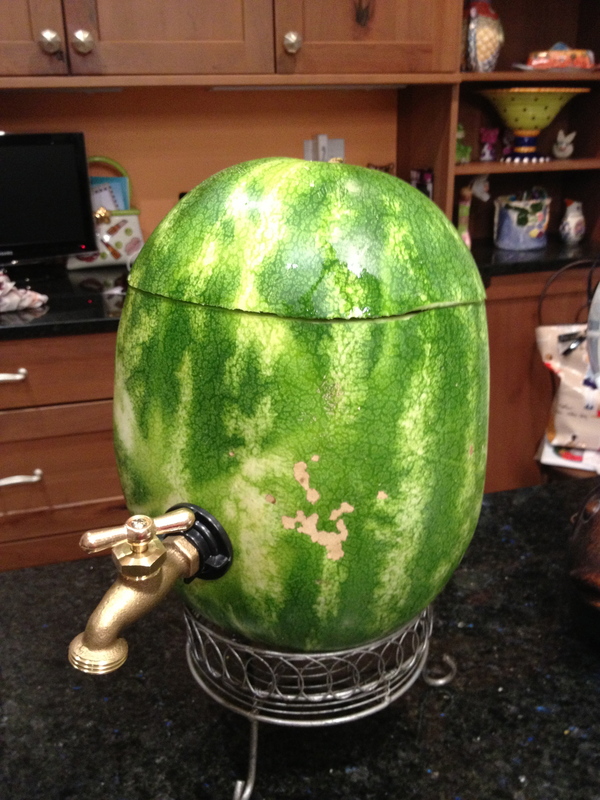 She served the Watermelon Vodka Slushie in this totally awesome watermelon keg. She said she had a few leakage problems. She picked up two more foam circles a little larger than the lock nuts to try to prevent leaking next time. My friend is visiting in a few weeks, and I will get a full report, but the materials list is below if you want to use the picture and the list to give it a try.